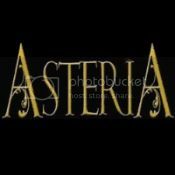 Asteria's Blog: Indie Author Giveaway! My absolute favorite giveaway of the year deserves one of my favorite books! When tragedy strikes, 17 year-old Ashton Blake sets out on a cross-country road trip, leaving the comforts of Malibu for the mountains of Kentucky. Along the way, she encounters Gabe Willoughby-the mysterious drifter with eyes like the sea and a knowing smile. Getting to know Gabe raises questions about her past. But no secret can be buried forever, and Ashton soon finds herself in a world where water is air and myth becomes reality.Just as Ashton comes to accept her newfound heritage, she's summoned to fulfill a treaty laid down centuries before - a treaty that will divide her love and test her loyalty. In the end, her future isn't her biggest concern, her humanity is. To run may mean war, but is she strong enough to stay? Sounds intriguing doesn't it? Be sure to fill out the rafflecopter below to win a SIGNED copy! 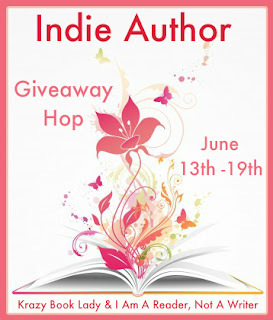 After you're finished here, be sure to click on the "Indie Author" pic and visit all the other fabulous blogs that are taking place on the giveaway hop, and thanks for stopping by! I'm playing catch up and almost out of time..lol. Thank you so very much for this awesome contest. Get your Kindle Books Signed! . . . . . . ~© The Writer's Den ©~ . . . . . .
copyright Elizabeth Isaacs 2010. Ethereal theme. Powered by Blogger.